The BJP will kick-start a three-day series of rallies to be addressed by party chief Amit Shah across West Bengal on January 20, a day after Mamata Banerjee's mega show featuring opposition leaders from across the country. The announcement by state BJP president Dilip Ghosh comes amid an apex court directive asking the state government to allow the saffron party to hold public meetings. In a show of strength ahead of the national polls, Chief Minister Mamata Banerjee has organised a massive rally in Kolkata on January 19, which is likely to see participation of lakhs of her supporters. Leaders of all major opposition parties have been invited to the rally to be held at the Brigade Parade ground in the heart of the city. "We will start organizing our public rallies from January 20. Amit Shah will address the first rally on January 20 in Malda," Ghosh said. On January 21, Shah will address two rallies in Suri in Birbhum district and Jhargram. On January 22, he will address rallies at Krishnanagar in Nadia district and Jaynagar in South 24 Parganas district, Ghosh said. 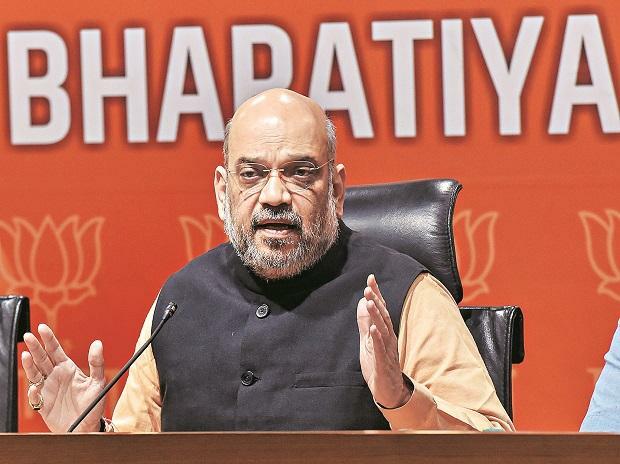 The BJP has identified West Bengal as a priority state for the upcoming national elections and Shah has set a target of 22 of the state's 42 Lok Sabha seats. The party is also looking to host a few rallies of Prime Minister Narendra Modi as well. Ghosh had earlier said that they were talking to the central leader for the PM's rallies but nothing was confirmed. Over the last few years, the party has emerged as the main opposition in the state with a significant show in rural polls and by-elections. The BJP had planned 'Rath Yatras' touching all Lok Sabha constituencies in the state to boost its chances in the national elections. However, it was denied permission by the state government and has since been caught in legal tangles. Yesterday, the Supreme Court put the programme on hold saying the state government's law-and-order apprehensions over the event was not "totally unfounded" and asked the BJP to submit a fresh request and seek necessary approvals. Ghosh said they are yet to decide on the 'Rath Yatra' and the Bengal unit will discuss the matter with the central leaders. However, a lawyer associated with the matter has said that the 40-day programme has been cut to 20 and the fresh 'Yatras' would start from Baharampur in Murshidabad district, Diamond Harbour in South 24 Parganas district, Medinipur and the Lok Sabha constituency of Kolkata North.